If you’re looking to get your 6 month old on a schedule, today I’m sharing our daily routine with you! If you have a younger baby, be sure to read our 4 month schedule. We gradually went from this schedule to the 6 month schedule so it was an easy transition. You’ll find your baby will give you cues and you’ll know when it’s time to adjust. So now to get to our 6 month old feeding schedule! Wake time for us is around 7:30 am so if your baby wakes up earlier or later, just adjust the time slots below. Breakfast 8:00 AM – Serve Oatmeal or Rice Cereal. I prefer oatmeal and mix it with pumped breastmilk. Note: I always offer breastmilk or formula first. This is because breastmilk or formula is still the #1 source of nutrition for your baby still and food is still for practice at this age. 10:30 AM – NURSE/BOTTLE once up from the nap (naps usually range from 30 mins to 1 hour at this age). This schedule follows the EASY schedule (eat, activity, sleep, you) and is helpful in ensuring your baby doesn’t rely on you to fall asleep by nursing to sleep. If you can, always try to nurse or bottle feed after your baby gets up from their nap. Sometimes this doesn’t work out due to timing, etc but I do my best to try to stick to this. If you are having trouble with your baby sleeping at night read our 5 ways to help your baby sleep through the night. Note – I have kept my schedule to still offer nursing every 3 hours. As mentioned above, breastmilk or formula at this age should still be your baby’s #1 nutrition source. That’s why I have not extended the time between the sessions. If you find your baby is not accepting the sessions you can cut back and extend the time between sessions. I have noticed my baby is not taking as much during some of the sessions but this is completely normal as he is getting additional calories from his solid feedings. That’s our 6 month old feeding schedule at the moment! I hope this schedule will help with your 6 month old. Know that every baby is different. So if you find your baby needs to eat or sleep more or less often just adjust the time in between the schedule. At this age when you slowly introduce solids, you work your way up to 3 meals a day. We did 1 meal to start for a few days, then added lunch then slowly added dinner. This allows time for your baby to adjust. 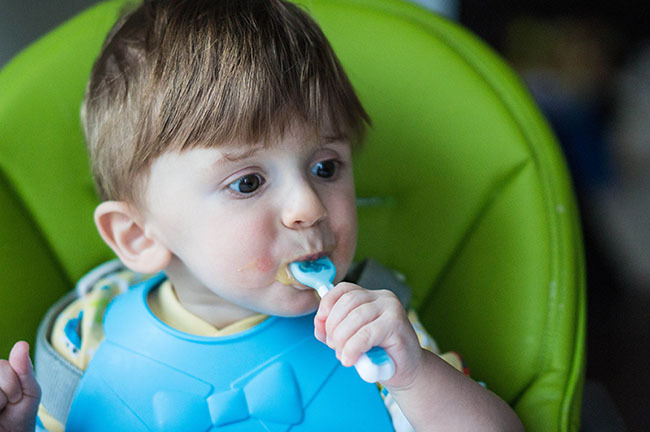 If you’re getting into solid feeding, one of the best feeding tools we used was a Num Num Dip Spoon. 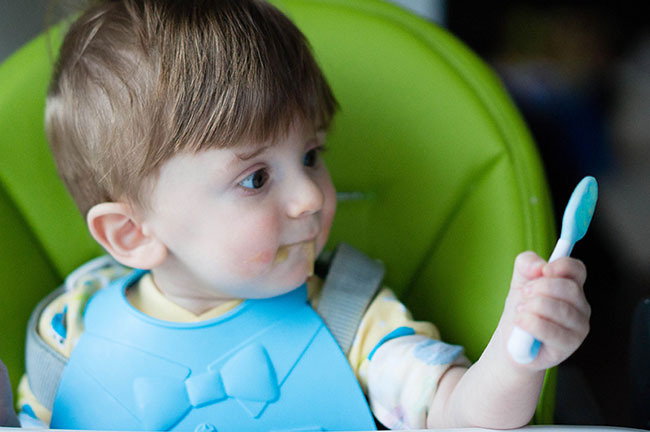 It is great fine motor practice for your baby to learn to use a spoon! Read our review of it here. 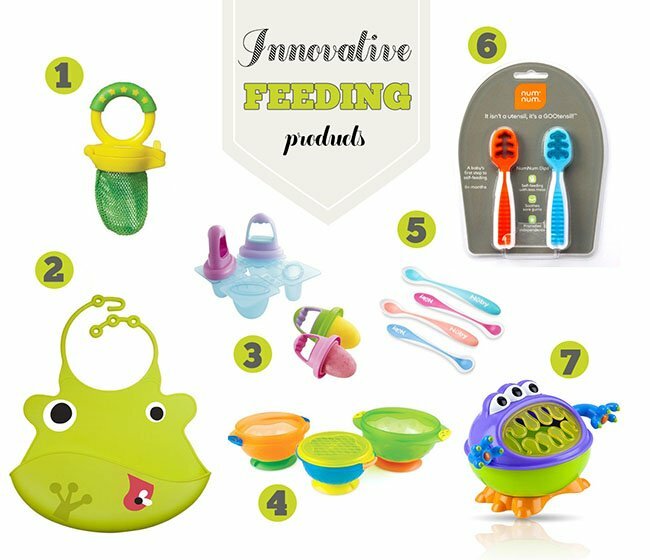 We’ve also rounded up the best feeding tools for your baby. You’re going to want to get your hands on some of these innovative feeding products! Finally, if your baby is still not sleeping through the night – see our 5 tips for getting your baby to sleep through the night. If your baby doesn’t nap for the full hour do you take the 2 hours to the next nap from the time they wake up or do you stick to the scheduled time above whatever time they wake up? You can stick to the schedule but if baby is rubbing eyes and showing signs of tiredness then you can put down earlier. Hi! When do you nurse during the bedtime routine? Let’s say I feed dinner at 6pm, start the bath at 6:30.. so you give the bottle right after the bath or after story time? We always did it as the last step in the routine, so right after story. How long are your babes nap 2 and 3 usually?? The last nap is usually a short one, 30-45 minutes (one sleep cycle). 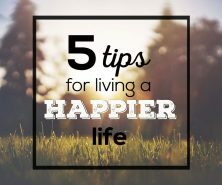 The first two are usually longer, 1 hour – 1.5 hours (typically 2 sleep cycles). How many times does your baby wake up to feed at night ? By this age both of my babies were sleeping through the night and would only wake up if sick or teething or sometimes for the odd earlier morning feed. All babies are different though and some may still not be sleeping through the night at this age. You say this is a 3 nap schedule for 2 hour wake times, but between your last nap and bedtime is 3-3.5 hours…. can you explain how this works for you? Thanks for pointing that out Rebecca, I’ll be sure to add a note about this last stretch being 3 hours. Typically the time between the last nap and bed time is longer. But you can follow your baby’s cues, if you find they are rubbing eyes and acting tired earlier you can definitely do an earlier bed time. What are the measurements for the food and cereal? how many ounces of formula are you suggesting we offer in each bottle feeding? Victoria that will depend on the baby and how much they drink for their age. You should consult your doctor on how much would be appropriate for your baby and size of baby. 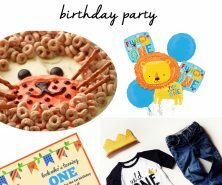 How did you incorporate tummy time into your day?